Coming off last week's Wale tour announcement, the "Chain Music" spitter has now announced his next project will be a joint mixtape with Philadelphia-based Maybach Music Group brother-in-arms Meek Mill. Both men took to their twitter accounts over the weekend to announce the project. Wale first teased fans with by posting, "Wale n Meek Mill mixtape???????? Stay tuned" on Saturday (December 17), while Mill delivered the decidedly less cryptic "Me and wale #mixtape .... Y'all ready 4 Dat!!!!!" 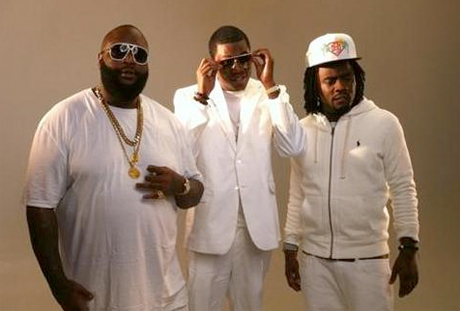 Details have yet to surface, but Maybach leader Rick Ross also stepped in to let people know that this is legit. "@wale @MeekMill Mixtape Official!!! #powercircle," the Bawse wrote earlier today (December 19). Considering Ross revealed plans for a mixtape of his own last week, the next little while seems stacked with fresh Maybach material. That said, Wale and Meek Mill's product has yet to receive a title or a due date.